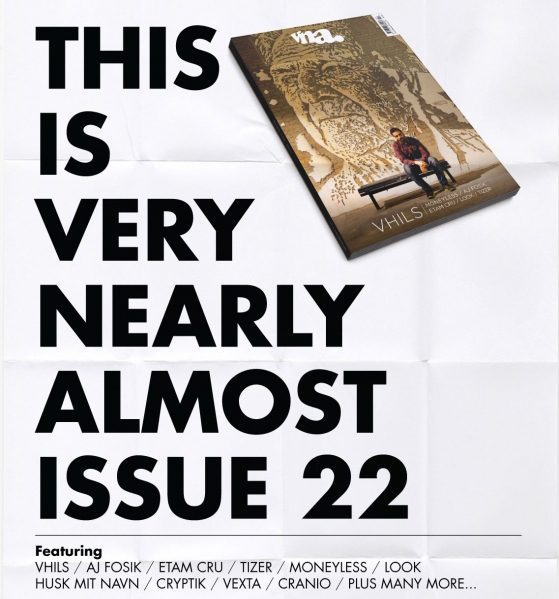 VNA magazine invite you to celebrate the launch of VNA issue 22 with them. 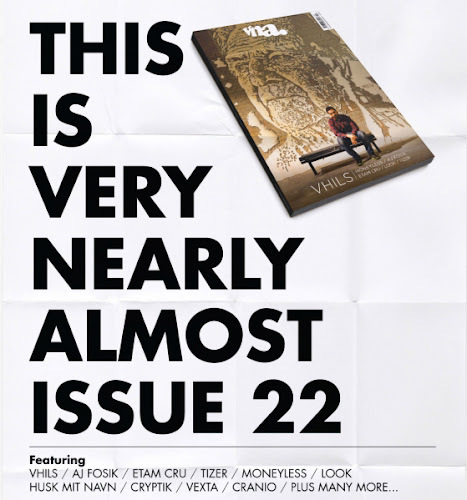 This issue features Vhils on the cover and interviews with Aj Fosik, Tizer, Moneyless, Soker, Miss Led, Blaine Fontana, Vexta, Husk Mit Navn, Cranio and more! They will be launching on Thursday 18th April at The Outsiders Gallery with doors at 6pm. Screen printed copies of the magazine will be available to purchase in a limited edition pack which includes a screen printed envelopes and four limited edition postcards. Cash only. Beverages will be provided by Desperados. The Outsiders Gallery - 8 Greek Street- London - W1D 4DG.